You need to be logged in and have had your user account upgraded to access these resources. Similarly, the list of supervisor contact details here www.integratedmindfulness.com/supervisors is only available when you are logged in with an upgraded account. 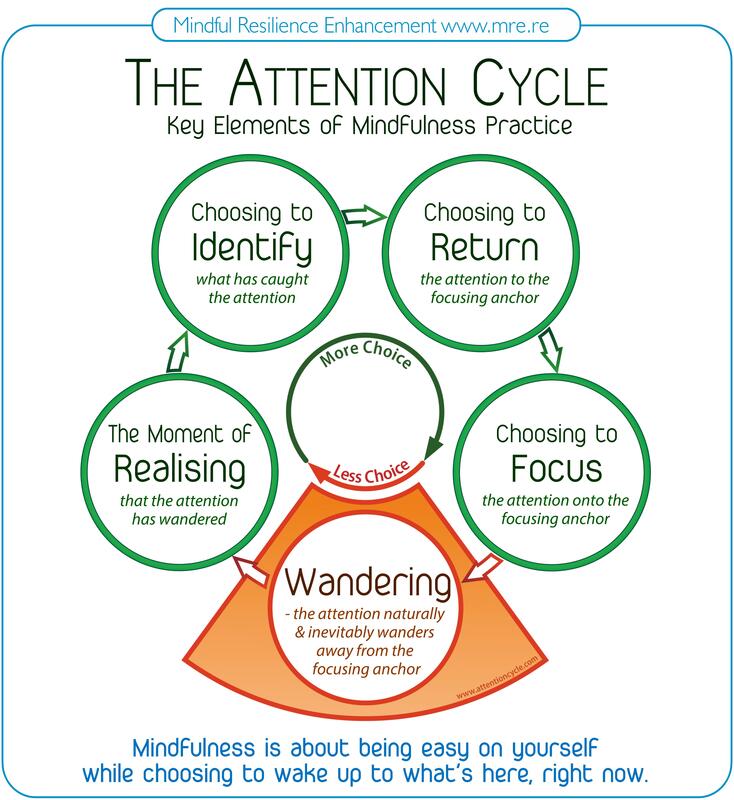 We find this a very helpful diagram to support mindfulness teaching – you are welcome to use it in your work if of relevance. 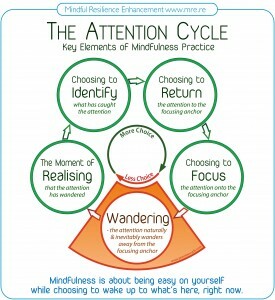 A higher resolution handout version is available here. Can’t find a page you expect to be there? If you are expecting to access a new page but can’t see it listed on the menus or want to make sure you can see what is new on the site you may need to refresh/reload the site on your web-browser. You can do this on most web-browsers and computers by making sure you have the website on the screen. Then right click over the page of the website you can see and then select Refresh or Reload (it depends on the web browser which you will see). the page will blink a bit as it reloads – and usually any missing menus will appear. If this doesn’t work you may need to clear your browsers cache of old visited webpages. There is usually an option to clear, delete or remove your browsing history under the Tools menu. Usually all you need to clear is the cache or the temporary internet files - you can leave the rest of your history unchanged. Once this is done – and it may take a while if you have never cleared the cache before – the site should show the new pages.